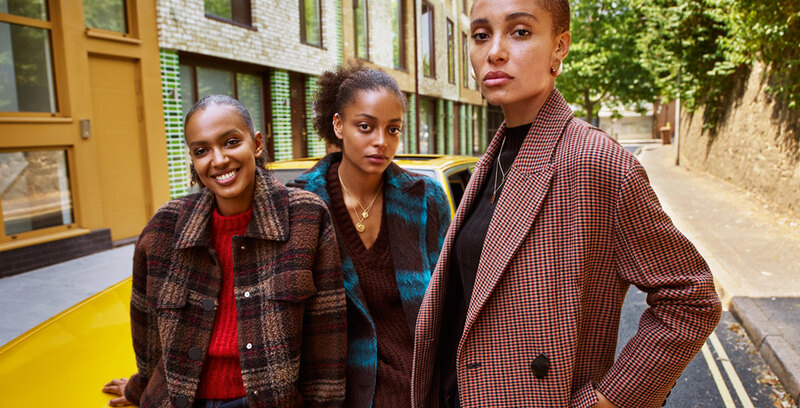 Featuring all your favourite colours and fabrics for the season, the ’70s are back – with a 2019 update. The effortlessly breezy aesthetic that is synonomous with the ’70s fashion era has been so beautifully reimagined with this range. The ochre-hued colour palette, with its burnt oranges, browns and mauves mimics the changing landscape, while the silhouettes are contemporary and chic. Winter staples such as chunky knits, long-sleeved round necks, corduroy and denim are all represented, the key switch up being in the refined and intricate detailed stitching. Breathing life into the launch is photographer Mario Sorrenti, who brings together familiar faces – Adrien Brody, activist and model Adwoa Aboah, as well as models and close friends, Amber Valletta and Carolyn Murphy, among others, for a collaboration called ‘Together’. We’ll say no more. Enjoy the campaign visuals and check out the collection at Mango stores and select Edgars stores nationwide.